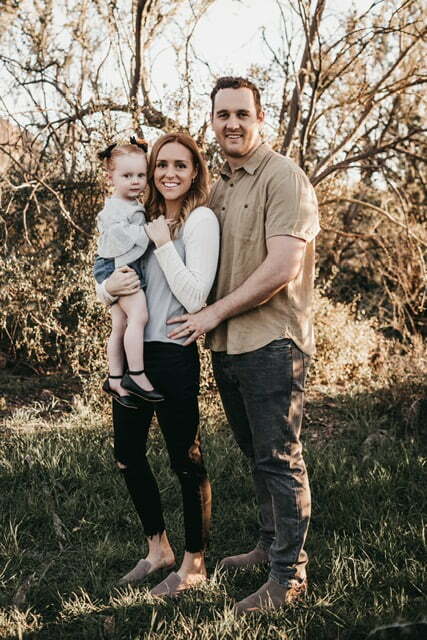 Press Release (ePRNews.com) - Queen Creek, AZ - Mar 25, 2019 - Dr. Payton Harker, dental school graduate of Midwestern University in Glendale, Arizona, has joined the acclaimed staff of Affinity Dental, a Queen Creek-based complete family dental care practice boasting a friendly and compassionate team operating in a soothing, state-of-the-art office. Dr. Harker brings with him a deep passion for helping patients with their dental needs, coupled with a sincere pride in providing gentle care so patients experience an exceptional visit. Growing up in a town of 3,000 in Alberta, Canada, Dr. Harker spent a couple of years in the construction industry before serving a two-year mission for his church in Nevada, going on to BYU and graduating with a Bachelor of Science in Nutritional Science. Following graduation, he moved to Arizona and worked in a denture lab for a year before attending dental school at Midwestern University in Glendale, all the while applying the ethics he learned from spending time in foreign countries, providing dental care to underprivileged communities. “Indeed, my experiences in the Philippines as well as in the Kingdom of Tonga showed me how quality dental care can be life-changing,” says Dr. Harker. “I’m thrilled to have the opportunity to work with the professionals at Affinity Dental – a well-respected practice that values a healthy relationship between a dentist and patient in a world that, unfortunately, seems less personally-oriented with each passing day. Affinity Dental offers complete dental services for the whole family, its staff taking specific care to make each Queen Creek dental office visit as stress-free as possible – whether it’s preventative dental exams and teeth cleaning or restorative or cosmetic dental care treatments. Each new patient exam includes a full mouth analysis, x-rays, periodontal charting and an oral cancer screening, while cleanings incorporate either a standardized or deep approach, the latter of which is based on the recommendation of Affinity staff and also referred to as scaling or root planing. Also offered in the area of preventative services are child exams/cleanings, gum infection therapy, sealants, traditional dental fluoride treatment, limited dental exams, athletic mouth guards and night guards. Restorative services as offered by Affinity Dental encompass tooth-colored fillings, crowns, dental implants, bridges, root canals, extractions, dentures, implant-supported dentures and wisdom teeth removal, while cosmetic services include dental implants, Invisalign teeth straightening, six-month braces (short-term ortho), Lumineers by Cerinate, porcelain veneers, bonding, implant-supported dentures, in-office one-hour teeth whitening, BOTOX injections and more. Additional amenities offered by the Queen Creek dental clinic include nitrous oxide applications for anxious patients; IV sedation; digital dental x-rays; intraoral cameras and Sonicare, WaterPik and other retail products. Affinity Dental is located at 21321 East Ocotillo Road Suite 130 in Queen Creek and can be reached by calling (480) 882-2300. For additional information visit www.AffinityDentalAZ.com or email office@AffinityDentalAZ.com.